It has been awhile since I listed some of my favorite podcasts. Here's a link to my original Top 8 podcasts. I wanted to share a few more that I have been listening to. Radiolab Presents: More Perfect. This podcast focuses on the Supreme Court and shares cases and how they were deliberated. I always dreamt of being a judge and if you are also a legal beagel at heart this will speak to you. Its so good! Super Mamas Podcast is a mom (women) empowerment podcast and it should not come at any surprise that this made it on my list. They touch on the Latino culture, raising kids and showcase other inspirational mom bosses. Even if you are not a Latina, you should still check it out. The Charged Life with Brendon Burchard is a podcast about motivation, success and living a charged life. I always feel empowered to tackle whatever I have going on after listening to Brendon. Coffee + Crumbs Podcast came about from the Coffee + Crumbs collaborative blog about motherhood. This is a new podcast great for all moms. 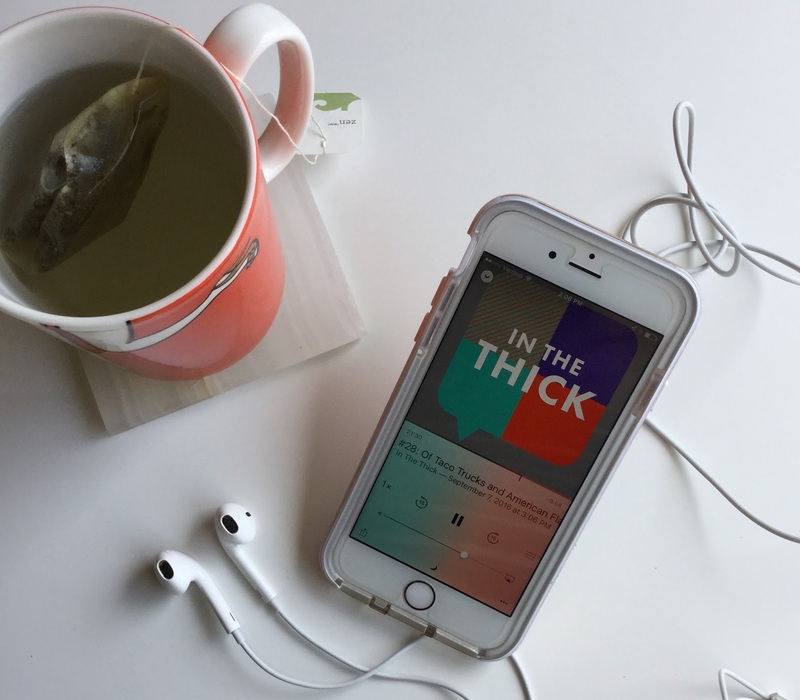 In The Thick is a political podcast from the perspective of changing America. This is one of my favorites hands down. I have a political and legal background, and believe we should all be informed about what is going on in the political arena. Meditation Oasis is a wonderful free podcast that provides great guided meditation. I set the timer on my phone, put on my sleep phones and the Relax into Sleep Guided Meditation always soothes me to sleep.